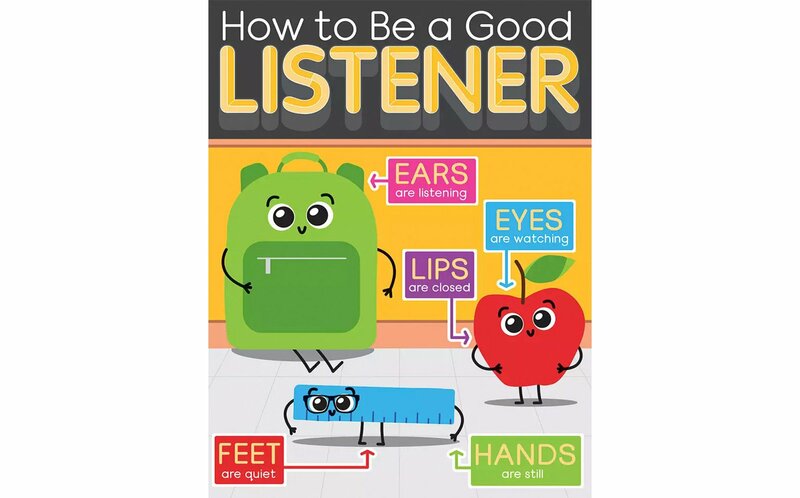 The How to Be a Good Listener poster is a great way for elementary-age children to improve their active listening skills. Help your visual learners become auditory learners. 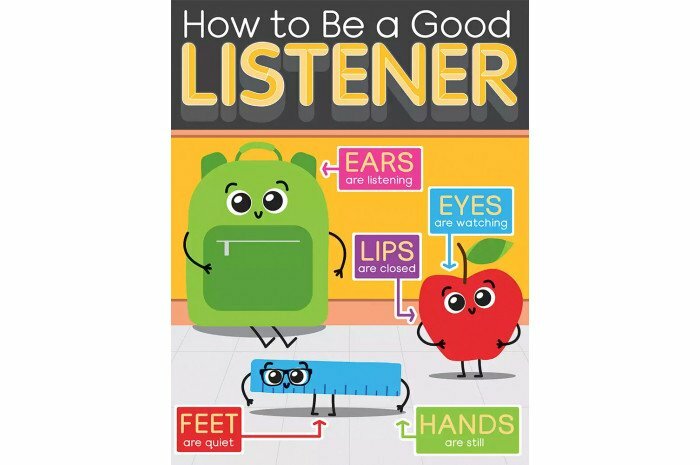 Showcases important tips for attentive listening. Measures 17" x 22".